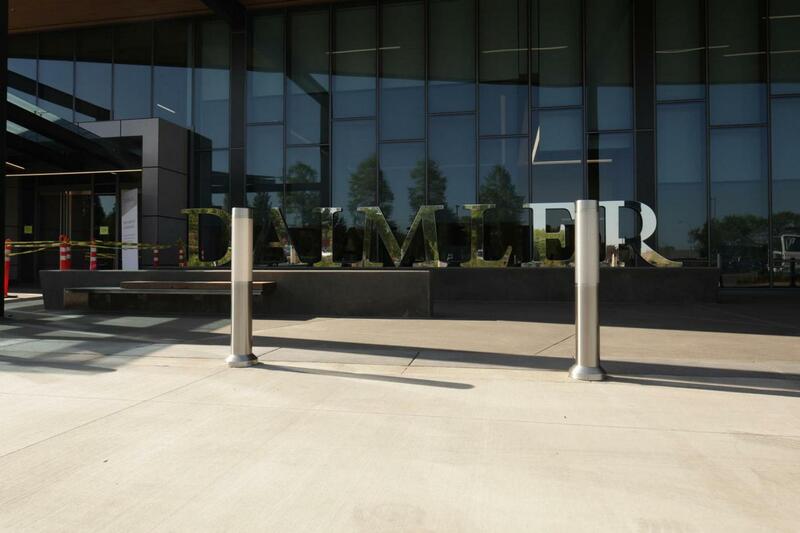 Long Painting Commercial Painting - Swedish Hospital | Long Painting Co.
DTNA –Daimler Trucks North America headquarters is located on Swan Island in Portland, Oregon. 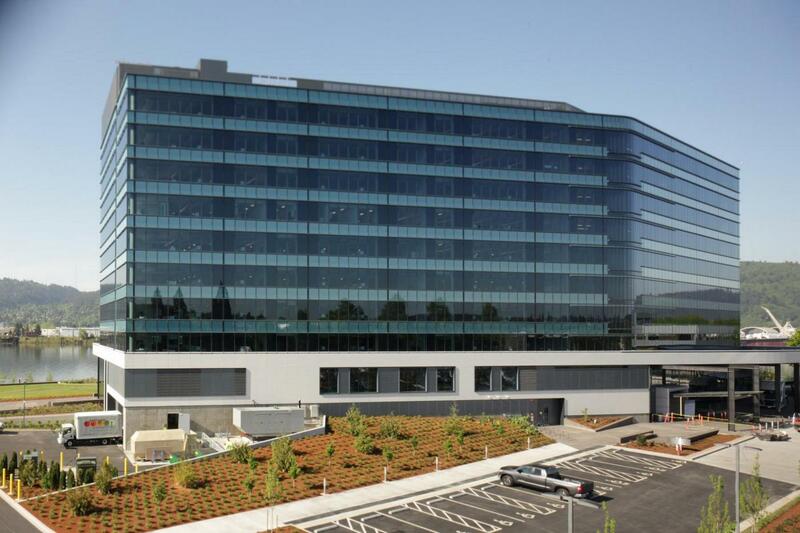 It is a new state-of-the-art nine-story office building on the Willamette River, approximately 275,000 sf. The project team included Superintendent, Ron Fabsits and Foreman, Jody Day. 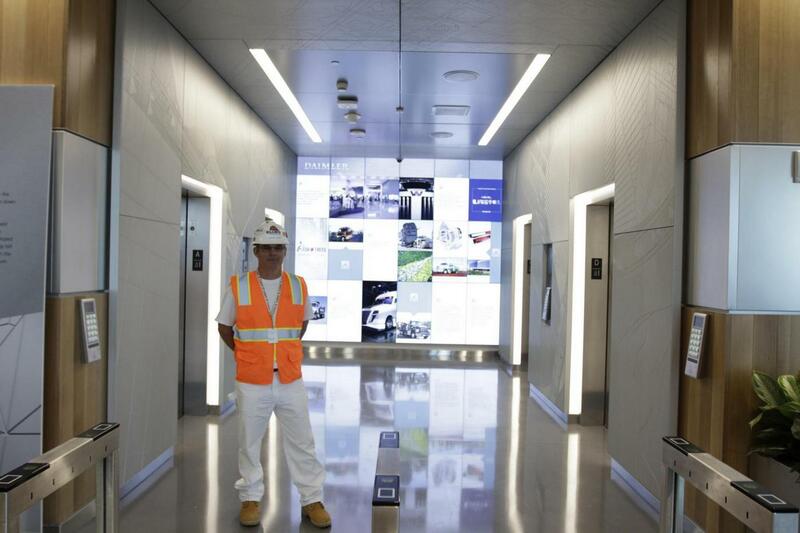 The project consisted of painting the Daimler NOVA (short for innovation), four story parking garage, and connector steel. 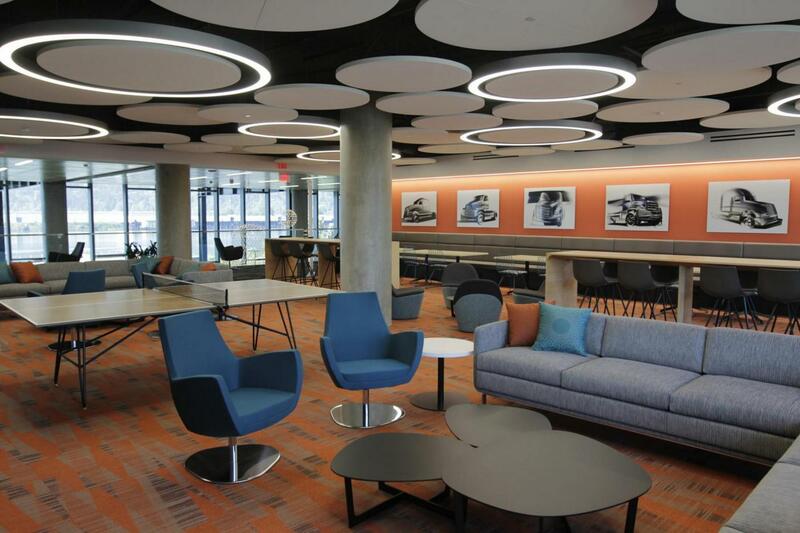 Long Painting Company was contracted to paint the GWB, direct applied ceiling tile, HM doors/frames, transparent finishes, metallic paint, and vinyl wallcoverings. The project proved to be challenging because of the different substrates that needed coatings at the same time. 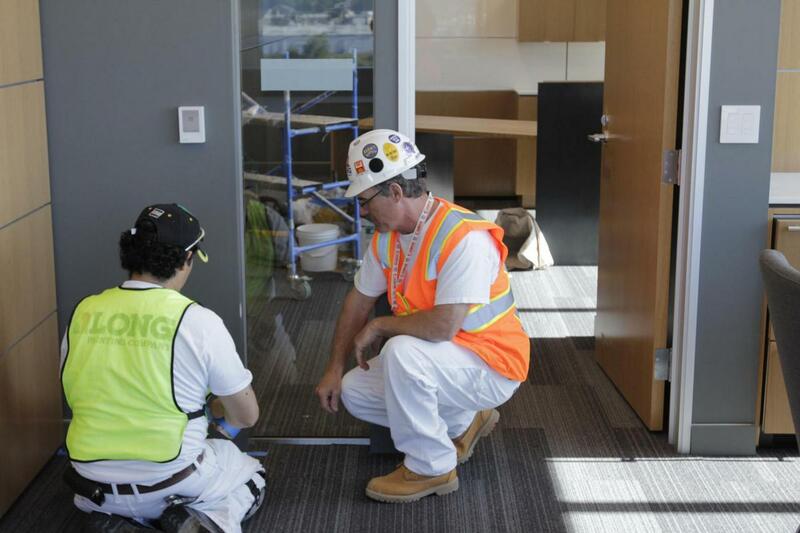 We were able to utilize our manpower resources to adequately man the job, and keep the project on schedule. The parking garage was painted in the winter months, so we devised a containment that would allow for painting, and also the other trades to work simultaneously. We provided solutions of ways to access difficult areas while not compromising on safety.